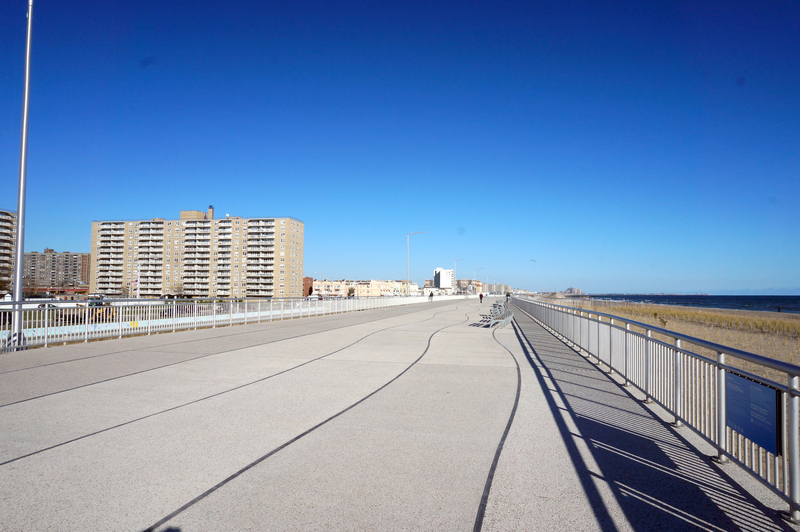 In the wake of Superstorm Sandy (2012), NV5 was part of a multi-disciplined team hired by the City of New York to design the reconstruction of the Rockaway Boardwalk in Queens. 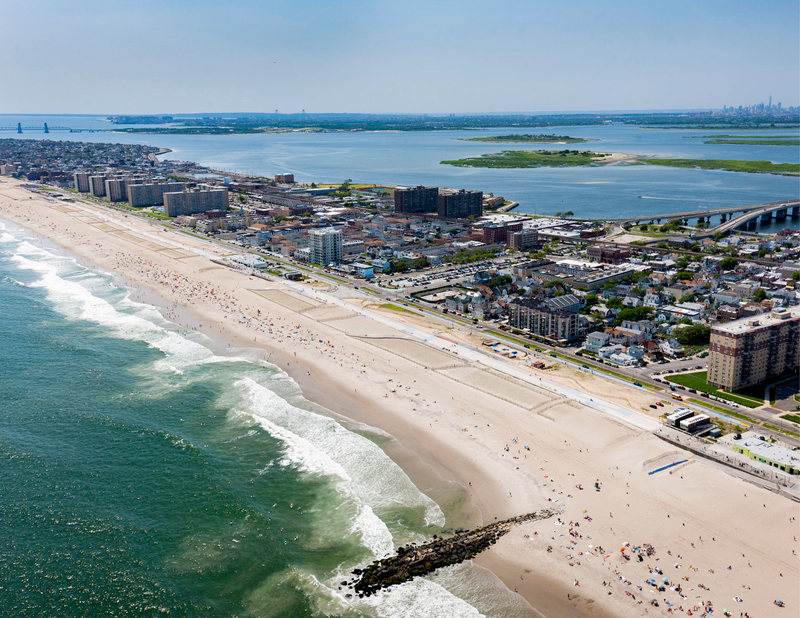 NV5 provided site/civil and structural engineering, and landscape architectural design services, and prepared contract documents for the reconstruction of nearly 5 miles of boardwalk and adjacent landscape along Rockaway Beach in Queens, New York. 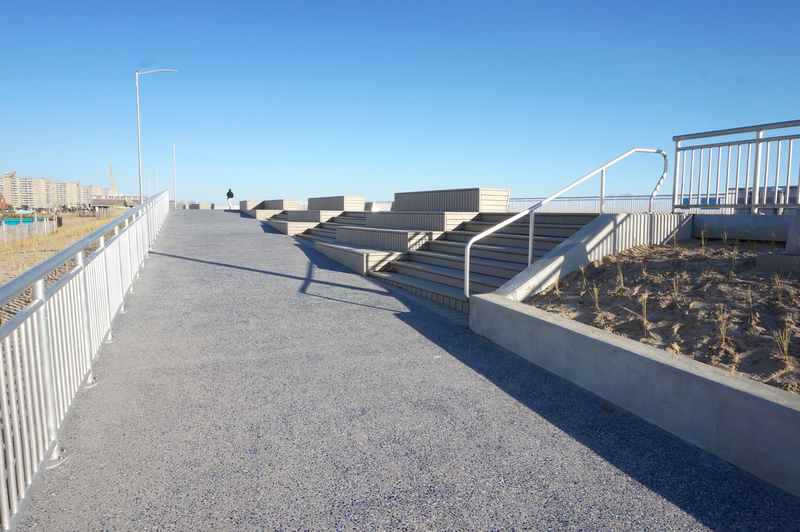 The new 40 foot wide boardwalk, constructed entirely out of custom fabricated pre-cast concrete planks with decorative finishes, resting on top of new concrete piles and pile caps, sits 3 feet above the projected 100-year flood elevation. 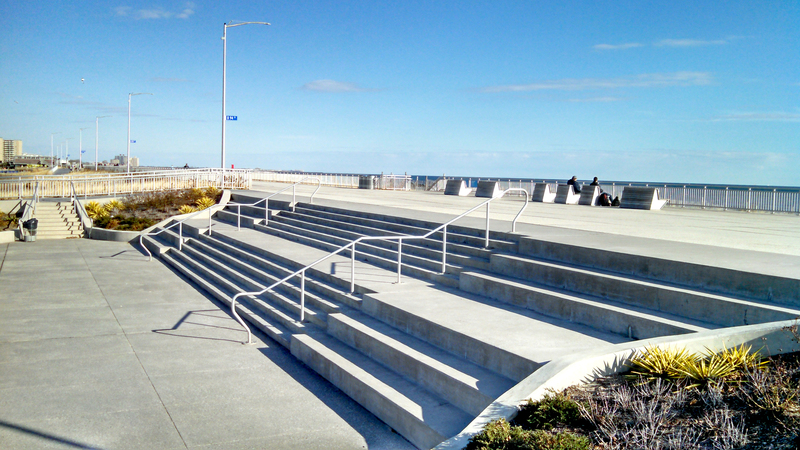 NV5 was directly responsible for design of all access stairs and ramps, as well as design and specification of all site furnishings and amenities including lighting, seating, signage, railings, drinking fountains, and showers. 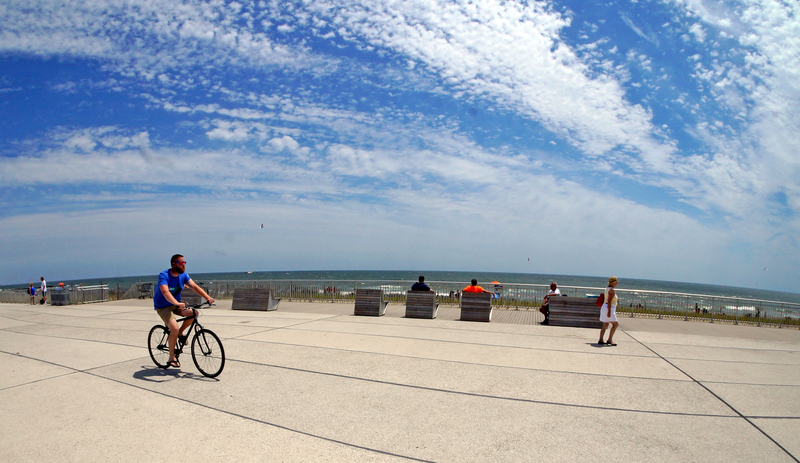 NV5 also was responsible for the grading and stabilization with native grasses of the giant new storm-resilient sand dune into which the new boardwalk is nestled.